Ok, living history report. After the discussion about armor penetration on Bren Gun Carriers at Hell's Highway, today we did a little experiment. 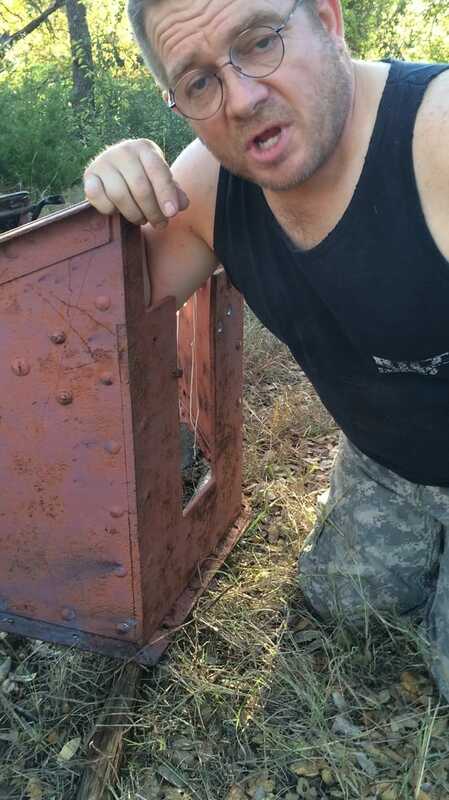 We took the armor plate from the front of one of my Bren Gun Carriers (awaiting restoration) and propped it up perpendicular to the firing line with a ZB-26 firing semi auto and then short auto burst, firing 7.92x57 ball, with the regular combat mix being ball and tracer, no tracer was necessary for the test. At 25 meters, on the flat plate in front of the driver at a 90 degree angle (flat on), of 10 impacts, 6 penetrated all the way through, and 4 did not, with one imbedded completely in the armor and two dented deeply and one denting the armor about 1/8". At 50 meters, firing at the front of the gunner's parapet, of 7 impacts, the two that impacted the frontal armor at 90 degrees (flat on) only dented the armor, one dent being 1/8" deep, and the other being less, only 3/32", with no spalling behind the armor. The other five rounds hit the sides of the gunners parapet (at an angle), and made no dents, only scraping the armor and leaving a residue splatter. So actual testing of real 8mm ball (normal combat mix) against the real armor of a real Bren Gun Carrier shows 60 percent chance of penetration at the suicidally close range of 25 meters, and 0 percent chance of penetration at 50 meters. At normal combat ranges, (150 meters and beyond) normal combat mix will do virtually nothing to armor, which is exactly what Rip and I have experienced in real combat on the other side of the planet. 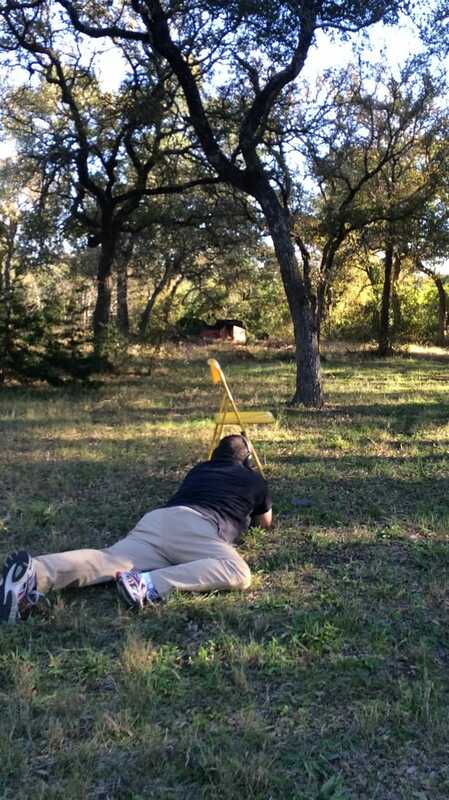 The photo above is Chris firing his ZB 26 at 25mm using 8x57 ball. The cartridges were loaded with WW2 German ball. He used the legs of the chair in front of him as left/right 'limit stakes' to make sure he didn't go out of safe. The photo above is the impacts at 25m. Note that only the shiny steel marks are the impacts (dents and penetrations). The other smaller holes are original bolt holes through the armor. The photo above is the 50m test. If you look at the lower corner, the black streaks going from right to left are what happened with the rounds hitting the armor at an angle, which just ricocheted off with barely perceptible scrapes to the armor. The same happened on the two impacts on the other side of the gunner's position. If you look below my arm pit, you'll see the two 90 degree (head on) impacts at 50m on the front of the gunner's station. I took my depth gauge to measure the depth of the dents, and one was 1/8" and one was 3/32". For the test, 10 rounds per mag with one each mag fired at both 25m and 50m, with a few fired semi auto at each range, and then the rest of the mag fired in a full auto burst. The armor was set up in front of my old CJ2 jeep just to see what any rounds that may have missed would do to a jeep. 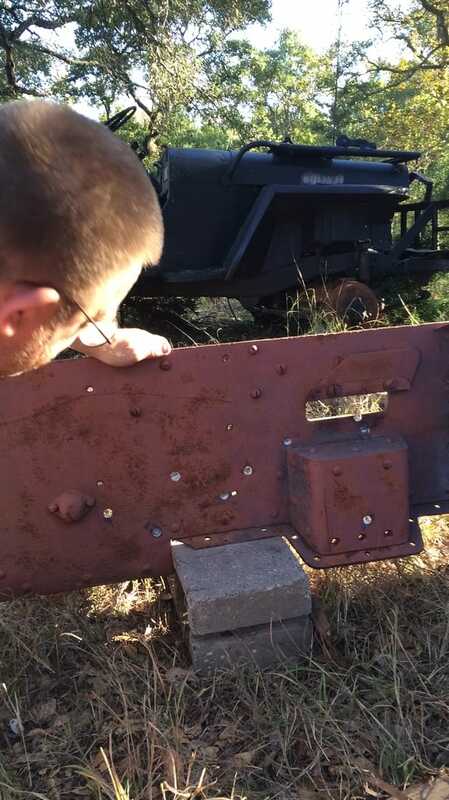 We found one dent in the jeep, which was either a ricochet from the ground that went under the armor plate and up into the jeep body, or a spent round that penetrated the armor and left the dent in the jeep. If it was a penetration through the armor that caused the dent, it would have definitely injured the driver of a carrier if he were behind the armor penetration. On examining the dent, whether it would have seriously wounded or killed him is questionable. After the test, Chris, Rip and I sat on my porch and talked about the test and the real world implications, all three of us being combat vets, and for 'reenacting' purposes, determined that a bren carrier at 25m range would definitely be in a world of hurt, although all rounds from the test were at 90 degree impact under test conditions (no stress on gunner, careful, slowly controlled aimed fire at a non-moving target), and with the ideal test conditions resulting in only 60% penetrations, that if it hit the armor at an angle at 25m the result would have been probably ricochets. With no penetrations at 50m, the concensus was that at a reenactment, a bren gun carrier is safe at that range or greater from small arms fire. The concensus was that at 25m or less, if a bren gun carrier came under concentrated sustained fire (as in an MG-42 gunner pulling the trigger and emptying a belt) at 25m, enough damage could be done to put the carrier out of action due to enough penetrations succeeding in disabling or killing crew or achieving enough damage to the engine to stop the carrier, or set internal ammo or fuel on fire. A short burst would not achieve enough damage to guarantee anything or anyone critical behind the armor being hit to 'kill' the carrier. Of 100 rounds fired, at a 90 degree angle on a stationary carrier, only 60 will achieve penetration. Those 60 rounds lose their velocity and penetration power having spent most of that kinetic energy in penetrating the armor, as witnessed by the dent on the sheet metal of the jeep impact. If enough of those greatly decelerated 60 rounds actually hit the driver or engine to cause enough damage to critically injure or kill the driver, or cause the engine to fail, the carrier would be 'killed'. So in reenacting terms, where we will always give the benefit of the doubt, we would consider a carrier within 25m of an MG42 giving a sustained burst a 'kill', (benefit of the doubt in the MG-42 gunner's favor) and a carrier outside of 25m a 'non-kill' (benefit of the doubt in the carrier's favor). And in terms of your reenacting wallet, using a hypothetical cost of 50 cents per round for 8mm blanks, killing a bren gun carrier would cost $50 to $100 at 25m. Firing at the bren carrier at 50m is a waste of money.